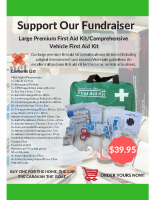 Below is an ever growing collection of documents and templates that you can use to help you sell the first aid kits. All the Word Documents can be customized with your own logo and payment details. 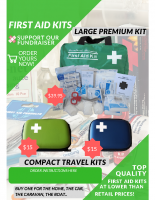 2019 one page colour flyer for both types of first aid kit. Use this together with one of the seller order forms to collect orders. We can customize this with your logo and other details. 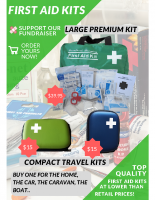 2019 two page colour flyer for both types of first aid kit. Use this together with one of the seller order forms to collect orders. We can customize this with your logo and other details. 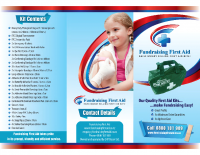 2019 three page colour flyer for both types of first aid kit. Use this together with one of the seller order forms to collect orders. We can customize this with your logo and other details. 2019 Seller Order Form – All Kits. 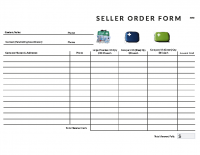 Your sellers can use this form to collect their orders.